26As part of its 2012 compliance audit program, the Forest Practices Board selected Amabilis Contracting Limited’s (Amabilis) non-replaceable forest licence (NRFL) A79575 for audit. Amabilis is part of the Pioneer Family Timber Partnership, based in Williams Lake. Amabilis’ NRFL lies within the Williams Lake timber supply area (TSA), and nearby communities include Williams Lake, Horsefly and Likely. The terrain of the interior plateau is flat to rolling and the predominant tree species is lodgepole pine. The Board conducted a full scope compliance audit, in which all harvesting, roads, silviculture, protection activities and associated planning done between June 1, 2010, and June 22, 2012, were included in the audit. A rancher complained that, during the summers of 2009 and 2010, his ranch southwest of Williams Lake had run short of water. The complainant asserted that salvage logging upstream of the ranch had caused earlier, faster and greater runoff during spring, which removed water from the system, and ultimately led to summer water shortages. Mountain pine beetle attacked the pine-dominated watershed in the mid-2000s, killing much of the mature pine. Extensive salvage harvesting began in 2006. The Board found that the reduced summer streamflows at the ranch were likely the result of depleted soil moisture and groundwater following a series of dry years, but salvage harvesting may have added to the problem by increasing the potential for accelerated runoff. The primary operating area for NRFL A81390 is in the Palmer Lake area, which is about 30 kilometres north of Alexis Creek, within the Williams Lake Timber Supply Area, in the Tl’etinqox-t’in’s traditional territory. As part of the Forest Practices Board’s 2008 compliance audit program, the Board randomly selected the Central Cariboo Forest District and decided to audit forest recreation management and enforcement. In December 2008, the Forest Practices Board received a complaint from a rancher about proposed salvage harvesting of mountain pine beetle killed trees in the Big Creek area southwest of Williams Lake. The complainant was concerned that harvesting by Tolko Industries Ltd. (the licensee) would exacerbate the already altered hydrology of the area. In this special investigation, the Board examined 111 cutblocks to determine, in part, whether or not licensees assessed and abated fire hazard as required by the Wildfire Act. The Act requires that both the fuel hazard and the risk of a fire starting or spreading on a site be assessed. Fuel hazard was assessed on 41 percent of the cutblocks, but the risk of a fire starting or spreading on a site was not assessed on any cutblock sampled. The result is that none of the licensees complied with the fire hazard assessment requirements of the Act. Despite complete non-compliance with assessment requirements, fire hazard was often abated satisfactorily through routine practices such as piling and burning roadside debris. 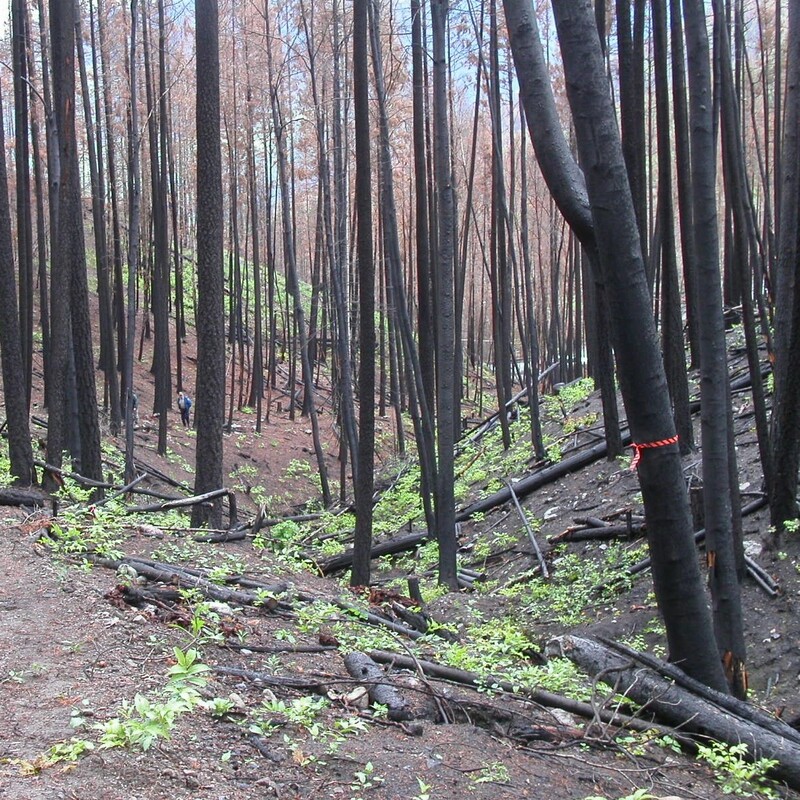 However, in some cases, licensees did not recognize higher risk situations such as the fuel hazard created by processing trees at the stump. This investigation assesses the effect of recent range practices in maintaining the ability of upland grasslands to provide forage for livestock and habitat for threatened and endangered grassland species. The investigation is limited to open grasslands in the Interior Douglas Fir (IDF) Biogeoclimatic Zone in the south central portion of BC, because half the grasslands in BC occur in that zone.